Unfortunately, some people are more afraid of the devil than God. This fear become the driver of their destiny because they nurse fear in their heart and mind. Their decision is trigger by fear and it ruin their lives because they live in perpetual fear. When the mind is constantly driving by fear, one’s action will be influence by negative forces. It is the thoughts on your mind that determine your actions and it’s what drives you. It is your believes that determine your accelerations. 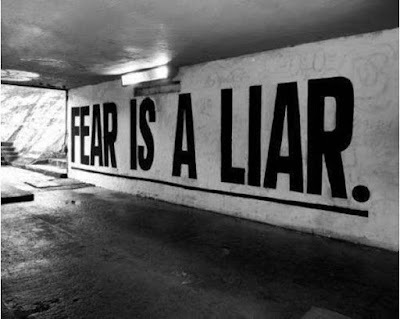 If you are fearful is because your mind lives in fear. Fear generate mental and physical stress. Fear drive you out of your destiny to the wrong path. Fear is a distraction, it break your confidence and ruin lives. Fear creates and promote defeated thoughts. It cast uncertainties on destiny train, fear is a torment. When the mind is weak, what can the body do? Therefore, when the mind is weak, it cannot carry the body. But be strong! “There is no fear in love; but perfect love casteth out fear: because fear hath torment. He that feareth is not made perfect in love”. 1 John 4:18. Fear create disharmony in family that was once peaceful. What you fear you worship. What you fear you cannot overcome. What you fear will eventually leads you to defeat. DON’T BE AFRAID – there is victory in Christ. Let faith arise and let darkness falls. What you fear the most has no over power over you. It’s the fear that has the power. We live in between two worlds, the physical world that our very eyes can see and the invincible spiritual world that our eyes cannot see. The spiritual is where our greatest warfare lies. The mind plays one of the most vital roles in these two worlds. It determines how far we go in live. The physical is control by sights and sounds while the mind record what our eyes, ear transmit to the mind. Satan cannot operate without negative energy. “Without retaliation evil will become extinct in the world”. Esan proverbs. Devils cannot operate without a release of negativities. Most of these negative activities is trigger by nightmares and negative activities in the world. Constant release of negative force-nightmares. Honestly speaking living can be tough and we all respond to life issues differently. Most issues that trigger psychological warfare are constant nightmares, melancholy etc. It may leads to psychological break down. · As you already know human minds does not wooed negativity. · The mind resent darkness. The more human had nightmares the more it may weighs on their mind. Because it is negative energy trying to dominate and control the mind. If you believe in superstitions, that will makes it worse. It will affect your way of thinking which lead to your action. Every action we carry out are trigger by the thoughts on our minds. Whether negative or positive. Cut down alcohol. Too much booze – alcohol can also leads to disorientation of the mind. It can trigger horrible nightmares. Too much alcohol and smoking leads to early aging- a pale and wrinkle face. Cut down excessive use of alcohol and quit smoking. 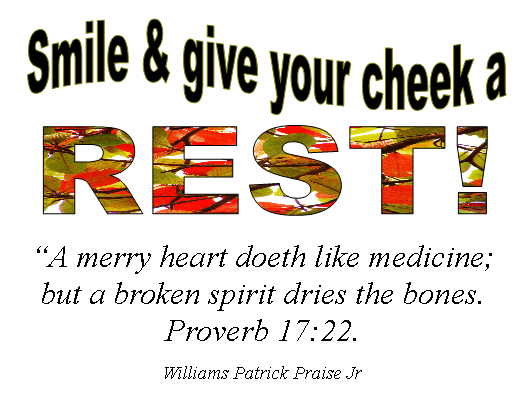 It will improve your health and life span. By not accepting responsibility for our actions and circumstances; we greatly reduce our ability to change them. Pray and do not nurse fear and superstitious. How To Overcome Psychological Warfare. Humanity respond to negative situations - melancholy differently. Whether is consistent nightmares or circumstances, our minds respond differently. Some people’s minds can’t stand much stress, when their mind is constantly bastardy’s with stress they may develop PD (psychological disorder) – which in lay man terms is mental illness. Mental illness is pretty frown at in many culture dues to ignorant and lack of knowledge of this illness. Some think those suffering from mental illness are bewitched. No. Whereas is it should be view like any other illness. Mental illness is curable. You are sound healthy and bless. Instead of been fearful be bold like lion, know that God is with you even now and forever more. All that we meet shall work for our good.